The alien mascot for Reddit is called “Snoo.” Originally the creators of Reddit wanted their site to be called Snoo as in “What’s New?,” but due to the unavailability of the domain, they had to compromise by calling the mascot Snoo. In 2005, the co-founders of Reddit, Alexis Ohanian, and Steve Huffman, created an online food-ordering service business. They named it MyMobileMenu. They went ahead to pitch the idea to Paul Graham, the co-founder of Y Combinator. But unfortunately, they were rejected. Dejected, the duo prepared to get back home the next morning. When they were on the train, they received a call from Paul Graham. He told them that even though he didn’t like their food-ordering service idea much, he liked both Ohanian and Huffman. He also urged them to build “the front page of the Internet” together. 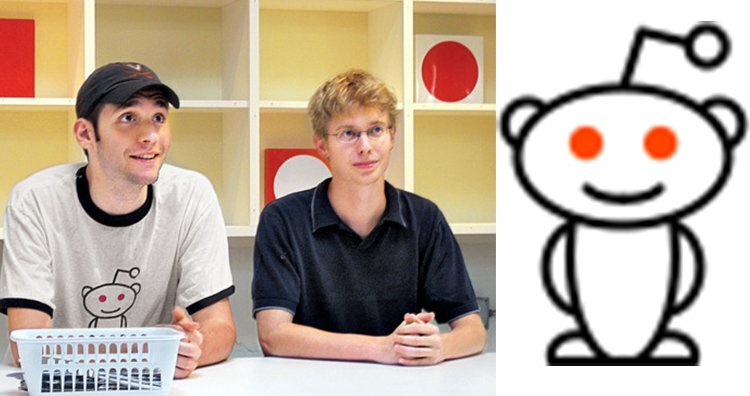 Inspired by his words, the duo wrote the code for Reddit in only three weeks. Ohanian wished to call the website “Snoo” which is the short form for “What’s New?,” but the Snoo domain name was already bought by someone else. They contacted the owner of the domain but he refused to sell it to them. So, they decided to temporarily name the website Reddit (which fortunately stuck!) and compromised to just calling the alien mascot as Snoo. Whenever anyone talks about Linux OS, the image of a penguin comes instantly to mind. This penguin, Tux, is the mascot for the renowned operating system. The concept was introduced by Linus Torvalds, the creator and founder of Linux. 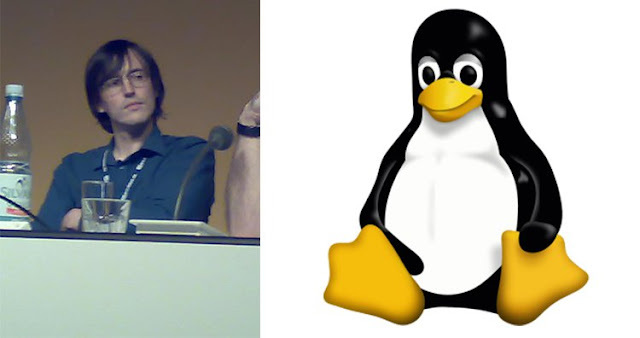 Torvalds is known to have a fascination towards penguins. Once he joked about being bitten by a penguin and said that he had contracted “penguinitis” as a result of the bite. He even added that this disease makes a person stay awake at night and feel great love towards penguins. This gave Larry Ewing the idea to create Tux as the brand mascot. The name Tux was first used by James Hughes who said that it was an abbreviation for (T)orvalds (U)ni(X). In the United States, the Democratic Party and the Republican Party are the two major political parties. 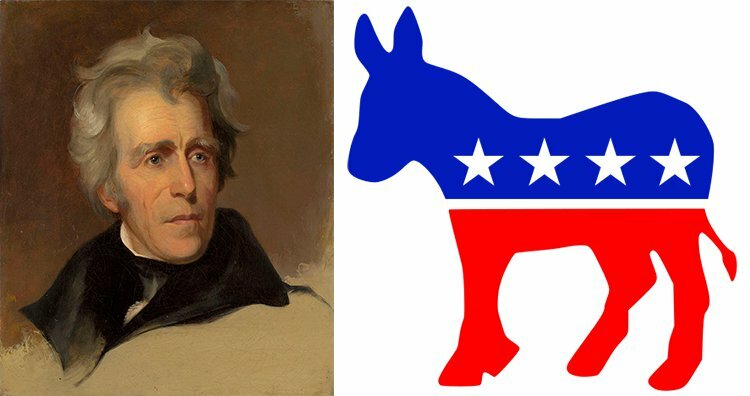 The modern-day Democratic Party was founded by the supporters of Andrew Jackson, the seventh president of the United States. It was formed around 1828 and has attained the status of being the oldest political party in the world. When it comes to mascot for the party, the donkey or the jackass has been the most famous and most common symbol. It so happened that Andrew Jackson’s opponents used to call him “jackass” to ridicule him. They compared him to a stupid and stubborn animal. But the party members liked the inference made to the common man and took it up as the party symbol. Even though the donkey symbol never became the official logo of the party, it is still one of the most popular political symbol. 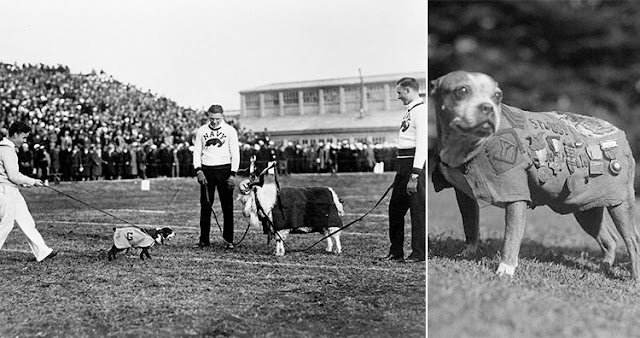 In July 1917, Stubby was roaming around in the grounds of the Yale University where the 102nd Infantry of the US Army was training. The dog roamed the grounds as the men trained, and one of the soldiers became fond of him. Corporal Robert Conroy hid Stubby and took him with him when he was shipped out. When they reached France, Conroy hid Stubby under his overcoat. But he was eventually discovered by the commanding officer. Upon his discovery, Stubby saluted the officer who allowed him to stay. Stubby served in the infantry for 18 months and was part of 17 battles. He has been known to show courage and saved his regiment from numerous, surprise gas attacks. Stubby used to find and comfort the wounded. He even caught a German soldier once by the bottom of his pants and held him there until the American soldiers discovered them. Stubby is the only dog in history who held a rank in a regiment. He was promoted to the rank of sergeant, and that was through combat. He is also the most decorated war dog in the world. An animated film is scheduled to be released in April 2018 based on the life of Stubby. 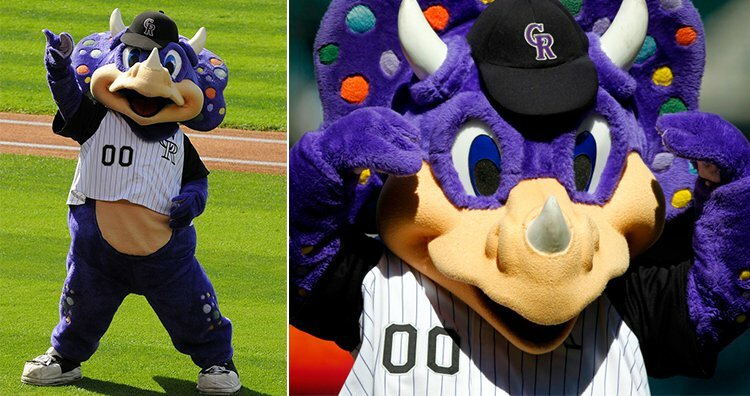 The Colorado Rockies have a purple triceratops, known as Dinger, as their team mascot. There is a reason for using this cuddly dinosaur as their mascot. When Coors Field, the official home field of the Colorado Rockies, was being constructed, workers discovered a number of dinosaur fossils while digging up the ground. The most notable discovery was a 7-foot-long (2.1 m) 1,000-pound (450 kg) rib of a triceratops. This made the authorities consider “Jurassic Park” as a name for the field. Later, the baseball team adopted a purple triceratops as their mascot in honor of the discovery made. We are all familiar with the white mascot, Michelin Man, of the Michelin tire company. 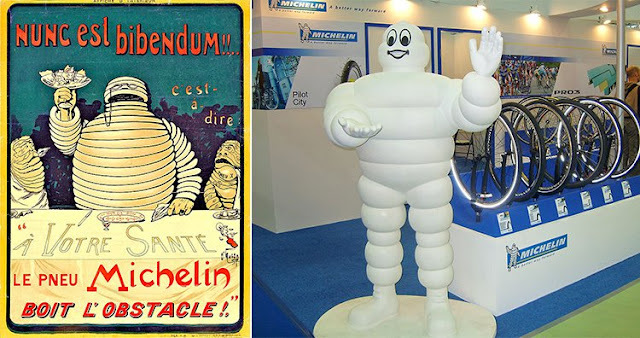 Unknown to many, the real name of the Michelin Man is Bibendum. He is also called Bib in short. Bibendum was kept white in color because, at that time, all tires were white. It’s only in the early 20th century, around 1912, that carbon began to be added to the rubber that is used as a raw material for the production of the tires for preservation and strengthening purposes. The McDonald’s mascot is one of the most famous mascots in the world. The mascot is known by the name of Ronald McDonald. In his book, The Joy of Living, Willard Scott, a legendary TV personality and American weather presenter, claimed that he was the one to create the character at the request of the food chain brand. He even portrayed the role regularly from 1963 to 1966 and after that occasionally until 1971. 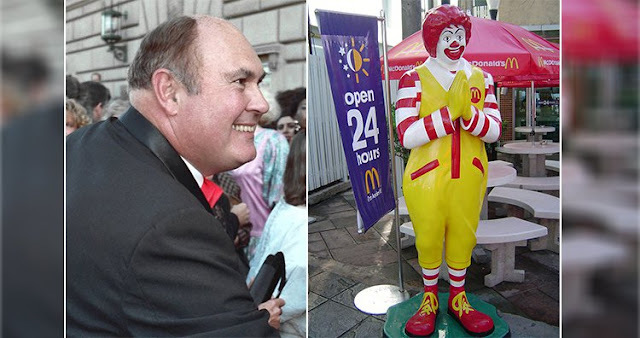 But later, he was replaced as McDonald’s was worried that Scott being heavy would hurt the image of the brand. It’s still hard for people to believe that the lion that roars at the start of movies by the MGM studio is actually a real lion. And it’s not the same lion! There have been seven lions who had offered their service to MGM. 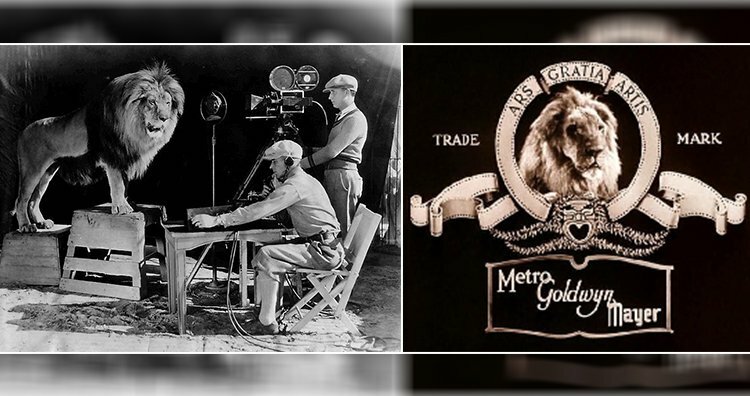 Leo, the seventh and the current lion, is by far the longest-used lion by MGM. He has been appearing in MGM films since 1957. But the most interesting lion is the second lion, Jackie. Jackie served between 1928 and 1956. He was also the first to roar, with his roar being recorded by a gramophone. Apart from being the face of the MGM logo, Jackie has also appeared in more than 100 films, one of them being the original Tarzan. Many of us have heard about the “The Noid.” It was a character used by Domino’s as their mascot and was one of the most popular mascots in corporate history. But there was a real-life crime inspired by the mascot which led to the elimination of the mascot by Domino’s. In the ad by Domino’s, “The Noid” was portrayed as a character whose main objective was to delay pizza deliveries. But Domino’s was Noid-proof which meant that you would always get your pizza in 30 minutes or less. The Noid became so popular that he was featured in video games and a line of merchandise. What ended the career of “The Noid” is a tragic story. 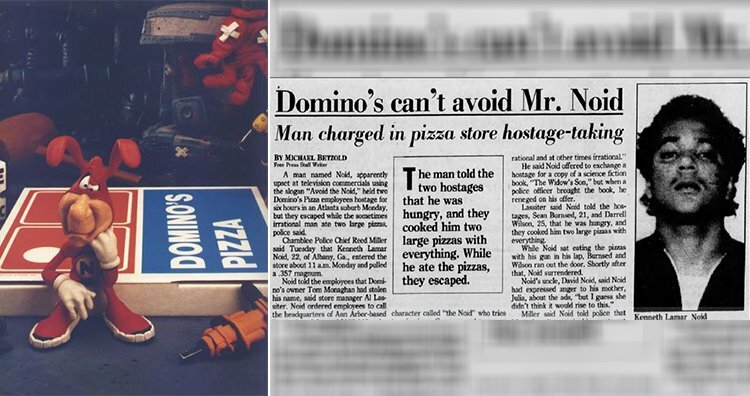 On January 30, 1989, Kenneth Lamar Noid walked into a Domino’s store in Georgia and held two employees hostage at gunpoint. Even though the employees managed to escape, they were held hostage for about five hours. Later it was found out that Kenneth was mentally unstable and believed that the “Avoid the Noid” campaign by Domino’s was directed at persecuting him. He served a few months at a mental institution but was unable to shake off his belief. He finally committed suicide in 1995. Even though the damage to “The Noid” was already done when Kenneth stepped into the Domino’s store with a gun, the character made a small appearance in a Facebook game in 2011 that marked his 25th birthday. He has never been seen since then. After NASA’s devastating Apollo 1 mission, NASA accepted a great responsibility to rebuild its image. They decided to create a program that would work towards safety in space missions. They went to Charles Schulz, the creator of the comic strip Peanuts, and requested to use Snoopy as their safety mascot. It was a tough call for Schulz because if any of the new Apollo missions failed, the reputation of his beloved character would be at risk too. But according to his son, Craig Schulz, Charles Schulz believed that if astronauts could risk their lives, then he could risk his characters. After Snoopy became the mascot, there were many comic strips that featured him on space adventures. One of the initial sketches of Snoopy exploring space with his fishbowl helmet was turned into a silver metal pin. This pin has been worn by astronauts since 1968 while going on missions. Once they return, they present the pin as a token of appreciation to the people on the ground who contributed to the safety and success of these missions. Very few people in the NASA workforce have received the honor making the pin one of the most honorable and prestigious awards in the space industry. 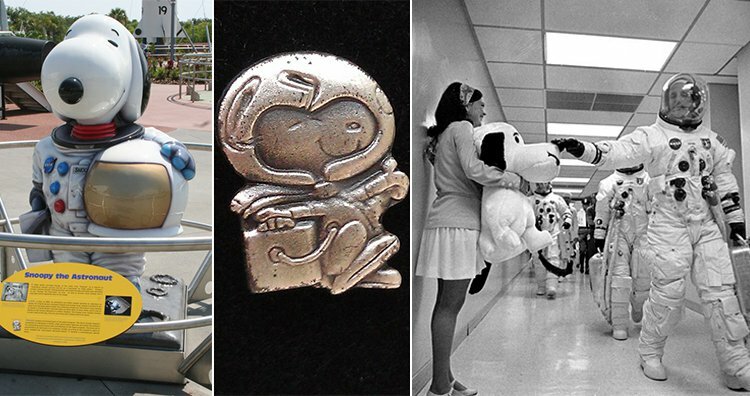 The Apollo 10 mission took up Snoopy as their official mascot. They used to pet his nose before launching as a sign of good luck. The flight modules were also given names of the Peanuts characters – the Commander Service Module was named Charlie Brown while the Lunar Module was named Snoopy.